ChangiHotels, a new hotel booking site has been launched by Changi Travel Services Pte Ltd to supplement its range of other Changi Recommends services including rental of ChangiWiFi overseas router, sales of prepaid SIM card & top ups, booking of airport transfers, attractions and tours and even last minute purchase of travel insurance. Let Changi Recommends website be the one stop site for all your travel services. You can book from over 170,000 accommodation options at over 5,000 destinations. ChangiHotels offers a ‘Best Price Guarantee’ and displays the total trip price upfront with tax included so what you see is what you pay. No hidden costs. Bookings can be easily customised with special requests to suit any requirement. To celebrate the launch, you can enjoy S$30 off hotel rooms with a minimum spend of S$100 when you book at ChangiHotels and enter the code 30EOY. “We understand that everybody likes to go on a holiday, but the preparation process is never as fun. 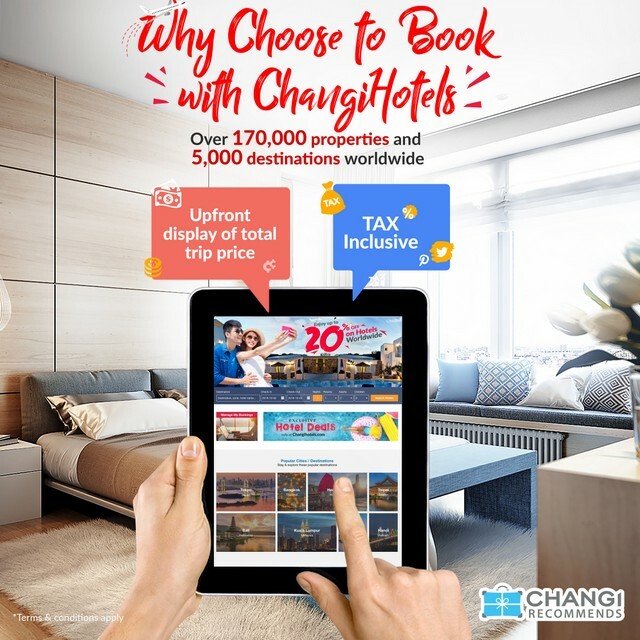 The creation of ChangiHotels was built upon the same strategies and values as ChangiWiFi – an accommodation booking site that is easy to navigate, transparent in its options and attractively priced. We believe that these key factors will appeal to customers of all ages, and the addition of ChangiHotels will make their entire travel booking experience much easier while keeping it wallet friendly at the same time”, shared Mr. Ng Yan Sheng, General Manager of Changi Travel Services. Instead of counting down to the new year, which is going to be so expensive, why not book a staycation on 1 January 2019? 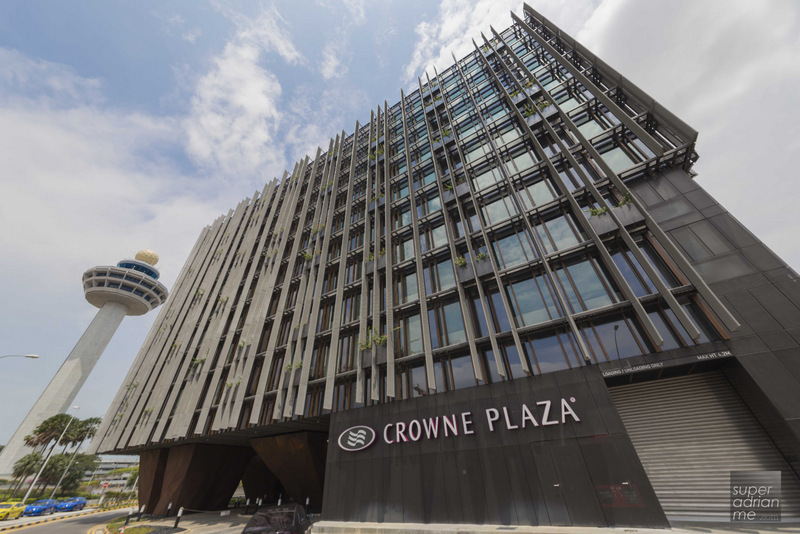 We checked out the rates and found many hotel rooms at under S$200 after the S$30 discount. Chinese New Year falls on 5 and 6 February 2019. That’s Tuesday and Wednesday. If you intend to travel during that period, you can take Monday off and that’s a long Saturday to Wednesday vacation. Take a trip to Bangkok. 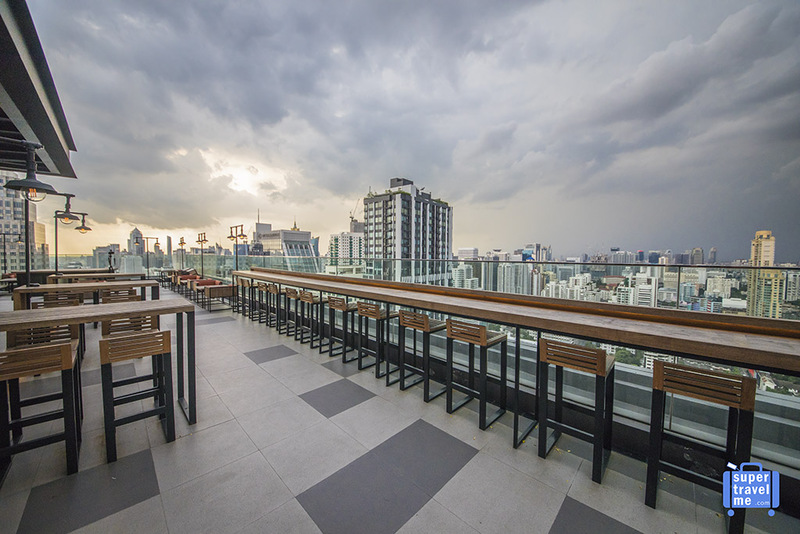 Nightly rates for stays from 2 to 6 February 2019 (Chinese New Year period) at Amari Watergate Bangkok from S$169.50, Swissôtel Le Concorde Bangkok start from S$132.50, Centara Grand at Central Plaza Ladprao Bangkok from S$146.50, Pathumwan Princess Hotel from S$188.50, [email protected] Design Hotel & Spa from S$222.50 , Hotel Indigo Bangkok Wireless Road from S$238.50 or Radisson Blu Plaza Bangkok from S$255,50 just to name a few. While you are in Bangkok, don’t forget to visit Ping’s Thai Teochew Restaurant at Pathumwan Princess to celebrate the new year. 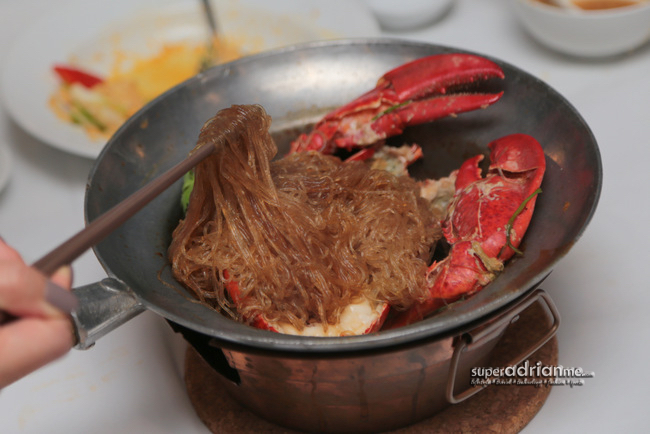 Enjoy the braised fish maw and crabmeat broth deep fried oyster omelette on sizzling plate, fried fish maw with prawns, baked lobster with vermicelli in claypot and braised goose web & noodles in claypot. Enjoy multiple massages throughout your stay and shop till you drop. You can even head over to Hua Hin and enjoy a beach resort getaway for two nights or more. Rooms at Amari Hua Hin from S$115, Dusit Thani Hua Hin start from S$162, Anantara Resort Hua Hin from S$307, Baba Beach Club Hotel Hua Hin by Sri Panwa from S$464, So Sofitel Hua Hin from S$418 or Hilton Hua Hin Resort & Spa from S$473. Visit ChangiHotels now and plan your next vacation. Oooh. I think I’m just gonna opt for the CNY offer to Huahin.